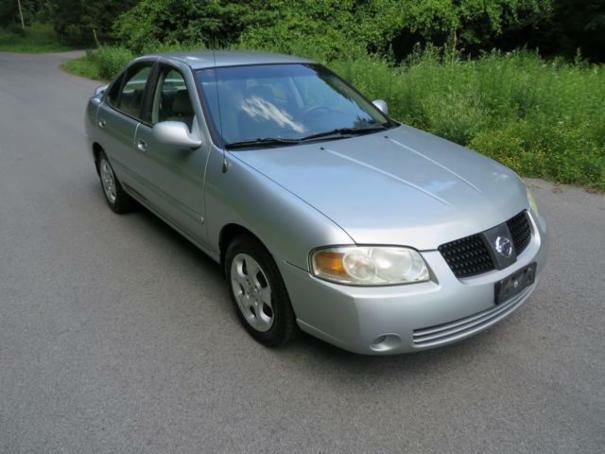 2004 Nissan Sentra S with 125k miles. 1.8L engine. Runs and drives well. Minor rust around car and scratches. SellingCarForm is a unique platform that brings together sellers and buyers from all over the United States. If somebody is interested in your car(s) he or she can make an offer on your product or buy it right away for the price you listed it for. You can also add your cars to our vehicle auctions. Selling cars at our website is profitable for everyone. At SellingCarForm you can also buy affordable used cars, quality used cars, reliable used cars, top rated cars, low cost cars. Whether you're looking for something for the whole family to enjoy or something to spice up your daily commute, you will definitely find it if you consider the lineup of vehicles offered at SellingCarForm. Shopping for your next vehicle or selling your car lots should be an enjoyable experience. We have a vast inventory selection and the lowest prices available. Selling Car form is an auto auction site with a great experience in the automotive industry. We open our platform to you to sell your used car lots online. It’s a faster, easier, and smarter way to market your inventory to potential buyers. We want to ensure that you’re dealing with honest and reputable businesses who act with integrity. We help in ensuring that your transactions are secured and we’ll assist you from the beginning until the full completion of your transaction. Selling Car Form is a widely-recognized car selling platform that values quality, reliability, and customer satisfaction. We treat our customers like we would ourselves – with respect and dignity. © 2019. All Rights Reserved. Use of this Web site contitutes acceptance of the Selling car form.